Pecans are the perfect Nut for Baking! 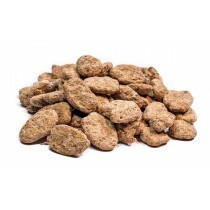 We carry Junior Mammoth Pecan Halves, Medium Pecan Pieces, Small Pecan Pieces, and Midget Pecan Pieces for all your baking needs. Our Shelled Pecan Halves are the pride of the crop, and are the perfect size for roasting, glazing, and topping your beloved pecan pie. A gluten free, cholesterol free, and protein packed nut that is just as delicious when snacking straight from the bag as it is incorporated into your favorite recipe, making them an ideal heart-healthy snack. 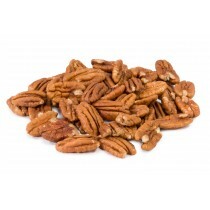 Pecans have low carbohydrates, making them a great choice if you are on a restricted salt or low-salt diet. 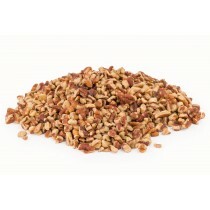 The plant sterols in Pecans help protect your heart against heart disease. 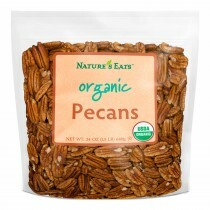 Pecans are a good source of Protein, Zinc, Vitamin B, Potassium, Magnesium, Calcium, and they contain NO Cholesterol. 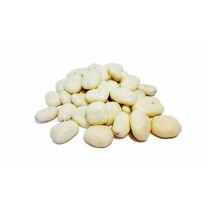 A great source of protein, magnesium, iron, calcium, and vitamins. Pecan nuts are a buttery and creamy flavored delight native to central and southern United States and other parts of the world. Pecans are rated number two favorite nut, following the peanut. 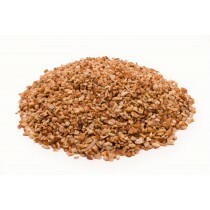 They are commonly used in many southern desserts like pecan pies, tarts, bars and much more. These nuts are usually ready fo harvest in October to December and are not tree nuts but are botanically considered fruits. The native Americans relied heavily on pecans as a source of nutrition during the severe winter times. DISEASE & AGE FIGHTING: The US Department of Agriculture identified pecans as one of the top 20 foods for antioxidant capacity. Out of all the other nuts this study also found that pecans have the highest levels of antioxidants out of any other nut. The antioxidants most commonly found in pecans are Vitamin E, ellagic acid, and flavonoids which help prevent oxidative cell damage. Slowing down the cell oxidation process helps prevent diseases like neurological disease, heart disease, cancer and Alzheimer's, as well as slow down the aging process. LOWERS CHOLESTEROL: Pecans are very low in saturated fat and filled with over 60% of the healthy monosaturated fats like oleic acid. These good fats help the body decrease the LDL, otherwise known as bad cholesterol. 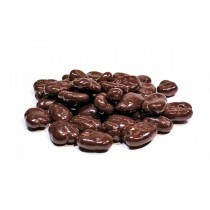 They also help increase HDL levels, otherwise known as good cholesterol. Research studies continually reference that a Mediterranean Diet, which is typically high in mono-unsaturated fats, fiber and antioxidants which all help to improve healthy blood lipid profile reducing the risk of heart disease. NUTRIENT ENERGY DENSE: Pecans are a great source of energy as they are highly nutrient dense with more than 19 different minerals, vitamins that are essential for optimal wellness. 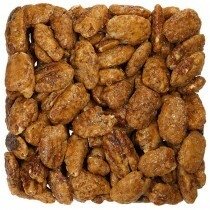 Pecans have 245% of the daily serving of Manganese, 65% daily value of copper and 33% of the daily value of magnesium. 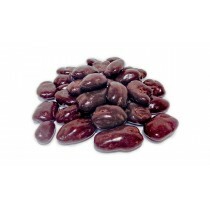 The Manganese is good for the heart, the copper aids with energy, and the magnesium helps the immune and nervous system. One serving of pecans also fulfills 48% of the daily thiamin value, which helps convert carbohydrates into energy. It satisfies 42% of the daily value of fiber and 20% of protein just in one serving.